**Let me know what you think of this new, quick format. 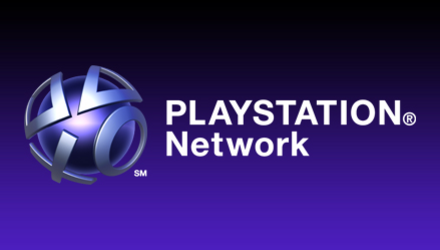 PSN is back online worldwide (except Japan). Taken offline on April 20th due to the mammoth hack job someone (strong rumors suggest anonymous) pulled off on with Sony's servers, the Playstation Network (PSN) has been down nearly a month as Sony started rolling out the hook up just the other day, starting in North America. The world, except for Japan - due to some weird stuff, is now able to get their PS3s and PSPs online and play with friends, compare trophies and so on. Sadly, the PSN (digital) store, where gamers get demos, download DLC and buy games (and so on) is not yet functional as Sony continues to work on it. Sony has already laid out plans on a few fronts. Working with companies to prevent identity theft - if such a thing arises from the hack, they're offering their services free (paid by Sony) to anyone with a claim. More awesome to a gamer's ears, Sony is offering up some free "Welcome back" goods to anyone with a PSN account prior to April 20th as an apology offering to gamers who couldn't get online for the near month. Full games like infamous and little big planet on PS3 and Mod Nation Racers and Killzone Liberation on the PSP are being offered for free once the store is brought back up. A full list of the possible free games and services offered here. I'm glad to have PSN back, to tsee what friends are playing, to jump into some online games on my system - I had other online systems to play while PSN was down, so it wasn't too bad of a wait, but still :P it's nice to have back and to see Sony is making headway since this craziness started. Personally, I like the idea of the offer to give back to gamers on the service... but in my case I own all of the PS3 titles being offered, except for Wipeout... which I don't care for. So I'm left either downloading nothing or grabbing something I already have, now in digital form. On the PSP offering, I don't own Mod Nation Racers or Little Big Planet... so I may snag those... but I'm not that excited for them. The addition of 2 months of PS+ membership is a nice touch as it makes up for the near month that I've lost because of the service not being up and then gives me an additional month... but I still feel like I'm scraping the bottom of the barrel... all because I buy lots of games. I honestly feel like I should be able to nab what ever title of my choice from the store, rather than those in the list. Even if it was just one title, I'd gladly give up a choice of 4 ones I don't care to own for that one title I want. I've seen some comments on Sony's blog saying the same thing... but I doubt we'll be heard. For anyone without the titles, it's actually a great deal! You get two full PS3 games (two of which are large retail releases) and if you've got a PSP, two full PSP titles as well. Throw in some PS+ for free, some home items (which I forgot to mention before now, there's suppose to be ~100 free items) and even some movie rentals for those interested (from Sony's movie download service) and it's quite the bundle. Sadly, not one that I can take too much advantage of.